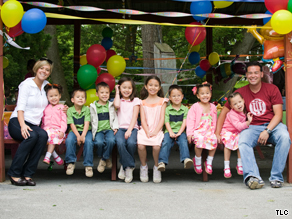 There was a time when fans of “Jon & Kate Plus 8” sympathized with Jon Gosselin, the seemingly beleaguered father of twins and sextuplets whose wife appeared to nag and belittle him before millions of viewers. Even when there were allegations of infidelity on Jon’s part, some fans rushed to his defense with the justification that perhaps he was driven to it by wife Kate’s behavior. But since the couple has announced their split, public sentiment seems to have shifted. While Kate is often spotted with the kids (both with and without her wedding ring), Jon has reportedly moved to a bachelor pad in New York, started hanging out with Lindsay Lohan’s father, Michael Lohan, and been out on the town with not one, but two alleged paramours. “I think what’s happening here is you are sort of finally seeing Jon’s true colors,” said Sasha Pasulka, head writer of the entertainment Web site Evil Beet. “People are starting to see why Kate was so frustrated with him, because he is behaving like a 23-year-old right now.” The hit TLC reality series is set to return from hiatus on Monday to much anticipation about how the network will portray the lives of the newly separated couple. According to People.com, TLC General Manager and President Eileen O’Neill said during a Television Critics Association panel in Pasadena, California, that the first episode will feature the parents individually interacting with their kids. What O’Neill didn’t reveal was whether the two women reported to be Jon’s girlfriends — Hailey Glassman and Kate Major — will appear on the show. “As far as new people and places that may be cycling into Jon and Kate’s lives, we’re taking it on a case-by-case basis,” People.com reported O’Neill told reporters. Now the wait is on to see if viewers will stick with the show, whose very foundation — initially — was a family that is no longer together. Watch relatives’ concerns for Gosselin kids » Writer Alisa Bowman said she believes people will still tune in for the drama. Bowman, who lives about 40 minutes away from the Gosselins in Pennsylvania, can relate to the stresses that can tear a marriage apart. She started the blog Project Happily Ever After to share her experiences about how her marriage almost crumbled and to offer help to those in crisis. “As voyeurs, people love to watch other people have marital problems, because it makes us feel normal,” Bowman said. “Part of the allure of watching it is that you can sit there and say ‘I’m not that bad.’ ” Bowman said there is often a rush to blame one partner or the other for the marriage’s demise when in reality, both usually play a part. “When my marriage was failing I thought it was all my husband’s fault and he was the devil and I was an angel,” she said. “I don’t think they showed everything about [the Gosselins’] relationship on TV, but there was definitely something unfulfilling about their marriage. In the end, the big problem is that they didn’t work on their marriage.” Attorney Ed Sherman, the author of several books on divorce, including “Make Any Divorce Better,” said he tries to advise people on how not to waste their money and emotional energy on their breakup. The loss of a relationship is something that just about everyone has gone through and that could help to make the show attractive to viewers, Sherman said, even though he is at a loss to explain why someone would subject themselves to starring on reality television. “Everybody in the United States breaks up and they can all relate to it,” Sherman said. “You can’t lead a real life when you are always on camera.” However, whether many people may be able to relate to the Gosselins’ recent lifestyle is an open question. The success of the show has allowed the pair to be able to afford to live the good life. Jon’s first public outing with another woman came during his vacation in the South of France. Tabloids have reported thousands of dollars in shopping sprees to indulge an alleged love of designer clothes and shoes. Meanwhile, RadarOnline.com reported that Kate planned to move to Rockville, Maryland — where her bodyguard and widely speculated alleged new love interest reportedly has an office. Her camp shot the story down very quickly. Pasulka said she often receives tips about Jon Gosselin’s antics in the Hamptons, where he has been spotted hanging out with everyone from Lohan to one of the members of the “Real Housewives of New York.” Pasulka said she thinks the world is witnessing a man who is determined to live out the youth he missed out on by becoming a young father of multiples — albeit with some choices that haven’t played well with the public. “Jon & Kate Plus 8” must go on, Pasulka said, because the couple is contractually obligated to TLC, but she believes they would be wise to end the show at the season finale.